BioWare have posted one of their semi-regular ‘Meet The Developers’ blog posts. 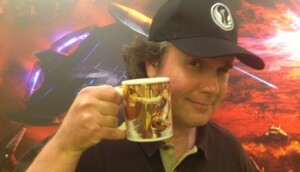 This time it’s SWTOR’s Lead Writer, Hall Hood, who’s under the spotlight. The Q&A is a long way off forensic given BioWare is asking the questions but it’s interesting in its own way. Plus, there’s a spin-off forum thread has been created for follow-up questions.